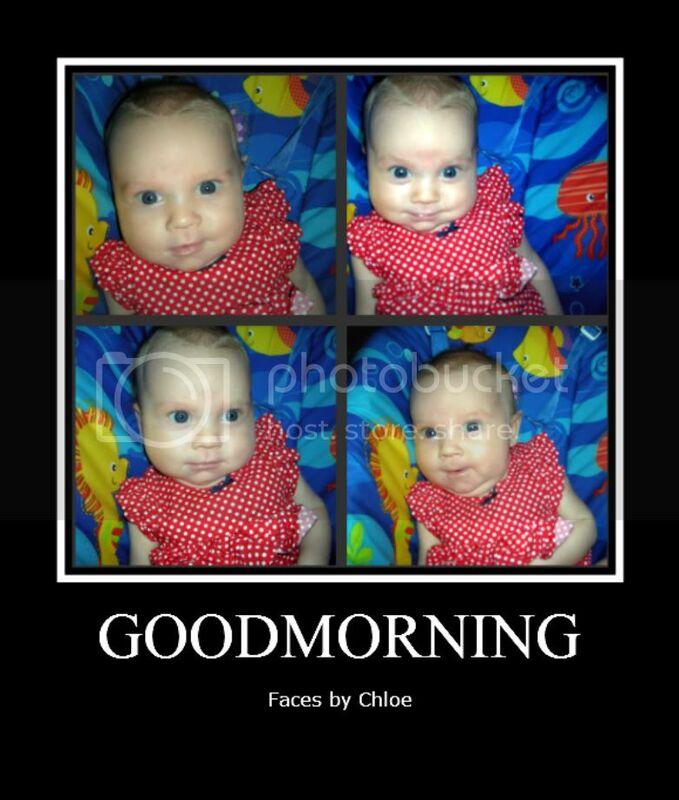 Chloe, it's July 28, 2010 and you are two months old today! You are sleeping through the night every time now. We usually start your bedtime ritual around 7:30. It's bath, then story while you have your last feeding. You can put yourself to sleep sometimes. Other days we have to put you bed partially asleep so you'll drift off without much fussing. You sleep until between 5:30 and 6:30 in the morning. Then you eat and go back to sleep until around 8:30 or 9! Thank you! You are smiling now! It's hard to get a picture of it. You are happiest in the morning; although, I suspect you'll grow out of that if you take after me. Your favorite toy is my face. I've tried to get you to grab your rattles and rings but you are much more interested in grabbing my nose or lip. Your aim is pretty good! I believe you are starting to understand how those hands work! You get your first round of vaccines tomorrow. After that, we can start to have more adventures!! Your daddy has been working his tail off so that mommy can stay at home with you longer! You're too young to understand, but you have an amazing dad. He would do anything for you and me. Cute, Cute pictures. She reminds me of you so much. Time is going way too fast. Love the sweet faces. What a delight to see her 2 month picture. She has many exciting times for you to enjoy and learn from. I love her many expressions. The red polka dot suit is so cute on her. Keep the pictures coming. It makes my day.I'm glad Shorty could start spoiling her. Oh goodness, I think she looks a lot like Mark- what are other saying? So glad you guys have slid into parenthood so effortlessly!